Can I upload files on blogspot? 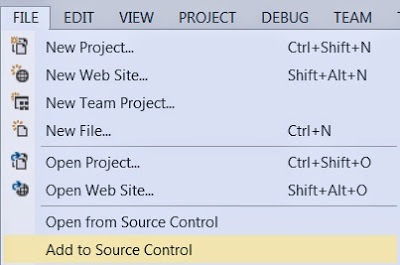 Visual Studio 2013 express have a option to add your project to Source Control. It is easy to add project to local repository location. In this article you will find step by step tutorial how to add your project to free private Source control located on the internet. 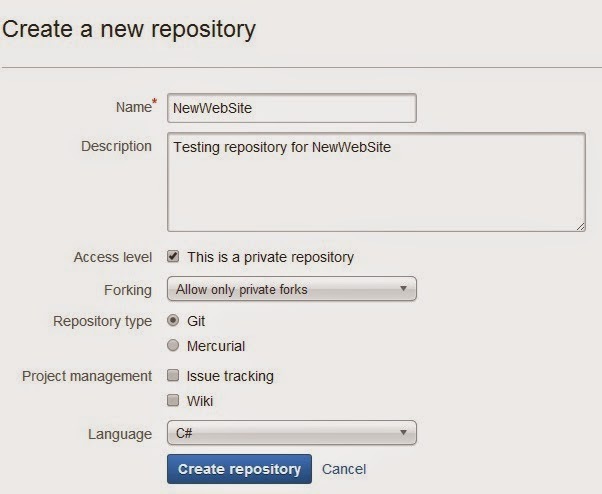 Bitbucket supports private or public Git/Mercurial repositories up to 5 users. Why you need online Source control Repository? Let's say you developing your project and one day your computer crash down. It is pity to lose all your development effort till this point. So if you have local Source Control repository you will lost everything. But if you have online repository you could continue to work from your last check in on other computer. Of course, there are other reasons why you should use online Source safe like sharing work and code with other people who are distant from you but in my case online backup is main reason to use online source control. Enter you BitBucket username and password if you are asked. If everything is ok you will see meassage : "The origin remote has been added and the current branch has been published." You can check it by going on BitBucket web page, choose repository and clicking Source under Navigation tab. The current solution has projects that are located outside the solution folder. These projects will not be source controlled in the Git repository. To add all the projects to a single Git repository please consolidate all projects under a singe folder. 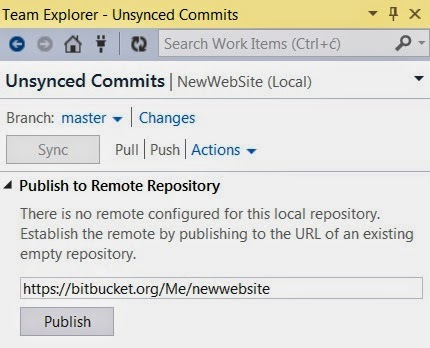 Here are step by step instruction how to create new ASP NET Empty Web Site which can be added to GIT source control. Choose Git radio button and click OK.
How to make possible to authenticate with some of social network ID (such as Google authentication, facebook login and LinkedIn) to your ASP.NET web form application? One possibility is to use Visual Studio 2013 built in functionality inside ASP .NET Web Form Site template (it is not only template with built in authentication). 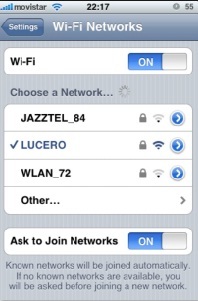 You need to configure project to work with social networks logins. 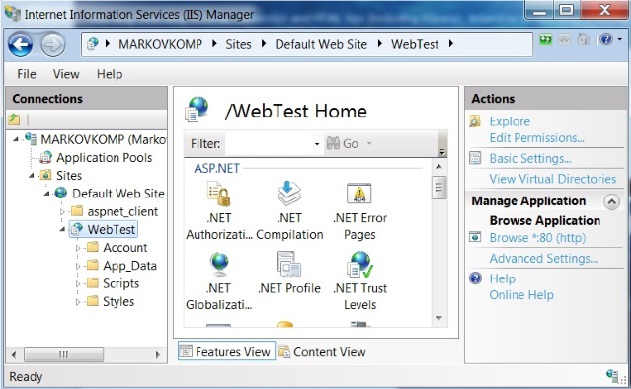 To learn more how to configure Visual Studio 2013 to work with external social sites visit: External authentication services c# and Logging In Using External Sites in an ASP.NET Web Pages. There is a code for authentication to your ASP.NET application with Facebook login. Some good people make various classes to make easier to login using Facebook, Google authenticate, LinkedIn and others. Those classes hides complexity of communicating with LogIn services. Be careful with Google OpenId identifier because it change if you change domain. 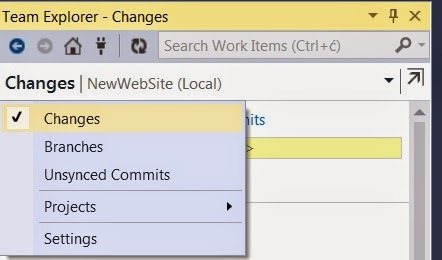 Find how to open and test your ASP.NET application located on your Win 7.0 from your iPhone. - instead of localhost type IPv4Address, in my case it is "http://192.x.x.x/WebTest/"
- in "Allowed programs" click "Change setting" button and check "World Wide Web Services (HTTP)" and "Home/Work (Private)"
It is advised to always give a height and width to canvas element. A id is also necessary as there can be more than one canvas element in a single page. We are first creating a handler to our canvas element (recall it had the id 'canvas1'), then we are retrieving its 2d context through the function getContext(). style to use when filling. We can specify CSS colors,gradients or patterns (defaults to black). style to use when filling. Constraints similar to that of fillStyle. width of the lines drawn by our imaginary pen on canvas. Drawing with colors and styles is a two step process. First one is to set the above properties. Other one is to perform the drawing operation i.e. calling the function which performs drawing. While dealing with canvas you'll find two versions of a function to create rectangles. these are fillRect and strokeRect ("Rect" standing for rectangle). What fill does is it creates the solid shape filled with the designated color/pattern, whereas stroke simply outlines the shape with that color. An example is presented shortly. First we chose the color tan and created a solid rectangle at (10, 10) having height and width of 100. Then we selected the lineWidth to be 5. Next we again selected a color, this time red; and stroked a rectangle at (10, 10) having similar dimensions as the previous rectangle. Notice although we have used colors as the property of fillStyle and such, we could have also used gradients or patterns, which is quite easily possible using CSS3. We are setting the line width to be 1 and the color of the stroke to be black. Then we call the beginPath function. We move our imaginary pen to a point, in this case the point (10, 10). In the next line we instruct to create a line from (10, 10) to (110, 110). And finally to ensure the line is drawn, we call the stroke function. Notice that we created another line from the point where the previous line ended. If we wanted to draw a line from a different point we would have needed to call another moveTo function. The canvas of HTML5 has a vast domain. In this article I've tried to point out just some of the basic ideas. From here I'd suggest you search the net for a bit more info. As always w3schools has a precise collection of more or less all the features of canvas. Besides this mozilla developer site can also turn out to be really helpful. Although at first canvas might seem a bit intimidating, it is actually quite a great tool to have at hand. Bottom line, this is by far the best light-weight option to create graphic objects on the fly.